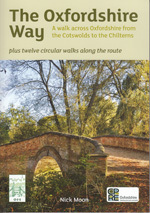 About Us Walking Pages Ltd. have been supplying walking guides via our online bookshop since 2000. Our staff are walking enthusiasts just like yourself. We are completely dedicated to providing you with a first class service and in giving you total satisfaction when you purchase from us. 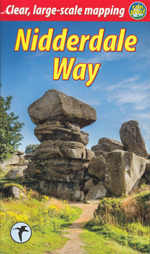 We are very grateful for any purchases you make, which help us to develop Walking Pages as a useful information resource for walkers. We make daily shipments to all parts of the world, as well as the UK, providing the best in walking guides to our loyal and growing family of customers. If you have any suggestions, comments or concerns please get in touch - we are here to help. 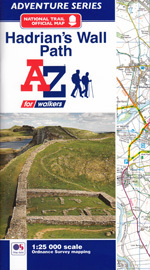 Both sites are owned and managed by Walking Pages Ltd.
Making A Purchase Making a purchase could not be easier. Just browse our store, and click on the 'Add to Cart' button any items that you wish to purchase. When you click an 'Add to Cart' button to select an item this will be added to your cart, which will be shown to you for a few seconds, before you are returned to the product page you left. You can repeat this procedure to add additional products to your cart. When you have completed your selection click 'View Cart' (in top right corner of page) to review your selection. You can remove any item if you change your mind. To do this tick the small 'remove' square and then click the 'update' button. When you are happy to proceed click 'Checkout' to continue to the order confirmation pages. You will now be on secure 'https' pages. Complete you name and address details, email and phone number. You now have two payment options. 1. To use a credit or debit card click 'checkout now'. After shipping and confirmation pages when you confirm your order you will be transferred to a secure PayPal hosted payments page where you enter card details. We do not collect or store your credit card data on our website nor do we share customer details with third parties. Only PayPal has access to your card data for processing. Your card will not be debited until we despatch your order and confirm this to PayPal who are our payments provider. 2. If you have a PayPal account you can select the 'Pay with Paypal' button to use PayPal Express for fast and easy checkout. All products are priced in pounds sterling. If you are shopping from outside the UK, place your order and your credit card issuer will convert the transaction to your own currency. We accept Visa and Mastercard credit and debit cards. We do not charge for any item until it is ready to ship. Back ordered items are not charged until they are shipped. Alternatively, you have the option to send your credit card information seperately by mail. If you select this option from the 'payment options' field simply print the form, complete it and post it to us. You may also telephone customer services to place your order and provide card details. If you have made a mistake in your order and cannot correct it in the shopping cart, please contact us and we will correct the mistake. We are always available to help you. When confirmation of your order is received, this is to indicate that we have received your order. It does not indicate that a contract exists between us. We will indicate acceptance of your order, and hence a contract between us, when we send you an invoice. We have included this term to protect us in the case that a mistake has been made in pricing, we have inadvertently under-priced goods, or we are no longer able to supply a particular product for some reason. In the case of a change of price, we will always contact you first to ensure that the new price is acceptable to you. Shipping And Handling Our postage and packing charges are as follows. For delivery within the UK shipment is made by first class Royal Mail and the charges are just £0.95 per item. For UK orders over £10.00 Uk delivery is free. Delivery is normally 2/3 working days. 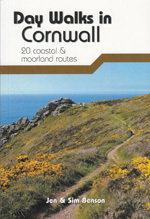 For European destinations the charges are £5.00 per item. For the rest of the world the charges are £7.50 per item. All European and world shipments are made by standard airmail and up to 7/10 working days should be allowed for delivery. The total post and packing charge will be calculated automatically and stated clearly during the order processing before you confirm your order. Delivery Schedule Orders are normally despatched within one working day of receipt, by first class post for UK destinations and standard air mail for other destinations. We promise to make every endeavour to ensure you receive your order quickly. We also understand a promise means nothing until it is delivered. You should receive UK orders within 2/3 working days. International orders are generally delivered in 7/10 days depending upon the destination. You must inform us within 21 days if the goods are lost or damaged in transit so that we can make a prompt claim against the delivery company and correct the problem. Please quote your order number in all correspondence. Back Orders In the unlikely event that an item you have ordered is not in stock, we will back order for you. You will always be notified of this by e-mail, giving a delivery date, with the option to cancel your order if you would rather not wait. You will not be charged for items until they are despatched. 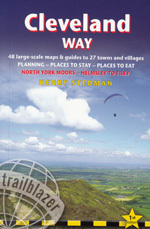 Tax Charges All book orders are VAT free and the prices quoted do not include any tax. Credit Card Security For payment processing you are transferred to our payment processor, PayPal. We (Walking Pages Ltd.) do not collect or store your credit card details, nor do we share customer details with any third party. On completion of the payment transaction click 'Return to Walking Pages' to return to our store where you can print an order confirmation receipt. If you have a PayPal account we also offer you the option of using PayPal Express for checkout. In this case you will be transfered to a secure PayPal page. Guarantee If you are unhappy with any purchase made from Walking pages Ltd. you may return it within 10 days of receipt for a full refund without any quibble. Goods must be returned in good condition and preferably in the original packaging. Our no quibble returns guarantee is in addition to your statutory consumer's rights. 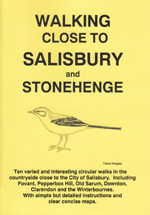 "You" and "your" relates to the natural person reading this document that is: considering purchasing, has purchased from Walking Pages Ltd. or is making an enquiry. After your purchase, we may use a third party customer feedback service to send you an email and request for your feedback, which you may choose to leave. The feedback may be held on the customer feedback service's website and on our website. Currently we are not using any such service. We may anonymously include feedback comments received from you by email on our 'What our Customers Say' page with your permission. The data normally consists of: product information, transactional information, name, address, phone number (if provided), email, special delivery instructions and potentially other information to ensure the successful completion of your order. We may hold notes of our communication with you through different channels including, but not limited to: email, live chat, and phone. If you have any questions or concerns, please do not hesitate to contact us through our contact us form, or by phone on 01452 731488.